Hello everybody! Today's DIY is three coaster ideas. 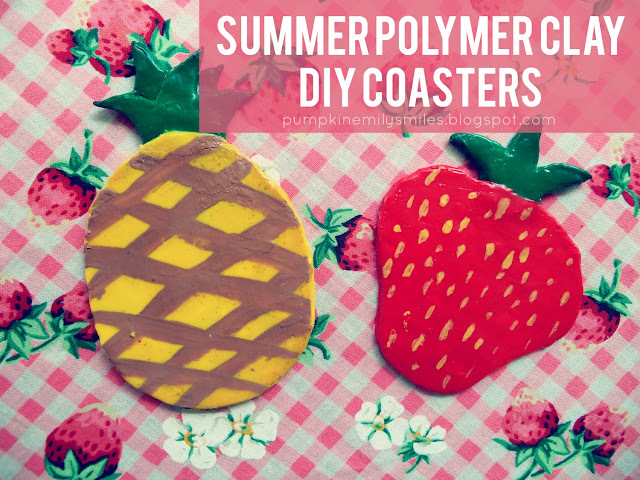 The coasters watermelon, strawberry, and a pineapple. 1. Cut the bottom part of the strawberry out of red clay and the top of the strawberry out of green clay. 3. Paint on the seeds. 4. 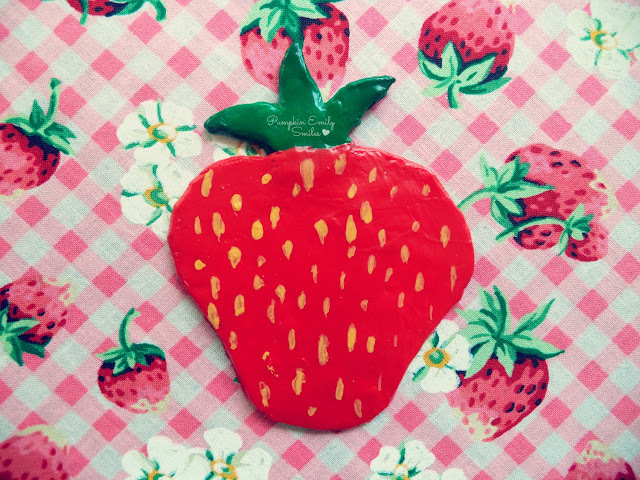 When the paint is dry, paint Mod Podge over the strawberry. 1. Cut out the bottom part of the pineapple with yellow clay and the top part with green clay. 3. Paint on diamonds to show the texture of a pineapple. 4. 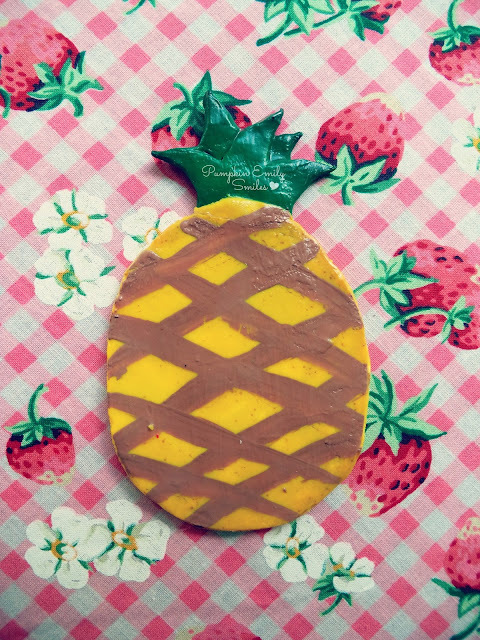 When that's dry, paint Mod Podge over the pineapple. What DIY should I do next? What do you think of this DIY?